Although these will have other uses on my allotment their first purpose is to keep the soil warm and dry for my autumn planted garlic. So easy to put up could almost do it one handed. 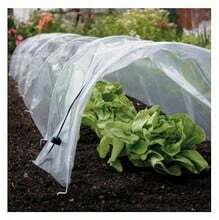 Bought this to protect pea seedlings from being pulled up by pesky pigeons (collared doves really). It didn't work, they just got underneath. To be fair it wasn't sold as being pigeon proof but still disappointing. It's good quality though. The hoops are pretty sturdy and it is incredibly easy to use. 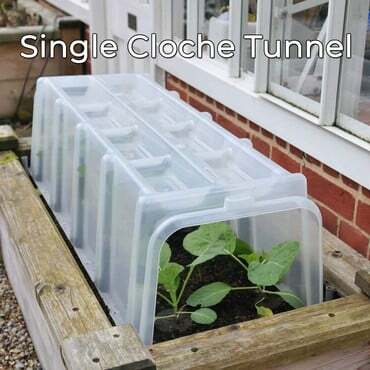 Will be very useful for attempts at late/early crops. Perhaps tightly pegged netting over the top will help on the pigeon front.